Most young companies wouldn’t have the courage nor the budget to spend millions of dollars on a Super Bowl ad. But for HomeAway Inc. -- which spent more than $2 million on a 30-second Super Bowl ad last year -- it was a way to join the big leagues, fast. Now it’s gearing up to run its second Super Bowl commercial and hoping for another touchdown. The company runs the world’s largest network of online vacation rental marketplaces, including VRBO.com, HomeAway.com and VacationRentals.com. Its big marketing challenge has been that only a fraction of travelers consider booking rentals over hotels and resorts. "We felt as the biggest player in the business that we'd really benefit from raising the profile of the category," says Brian Sharples, 50, chief executive and co-founder of the six-year-old Austin, Texas-based company. 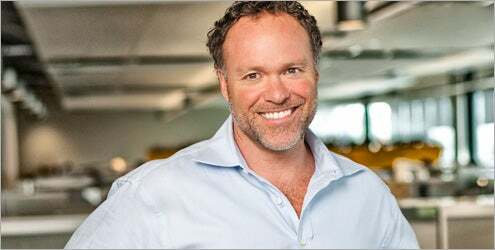 HomeAway had $120 million in revenue in 2009 and employs about 750 people worldwide. The company's story shows the kind of calculated risk entrepreneurs can take when seeking to score a big marketing win. And it shows that such risks can pay off when they’re executed strategically and smartly. The first commercial featured Hollywood actors Chevy Chase and Beverly D’Angelo as the Griswolds, reprising their roles as the misadventure-prone family from National Lampoon’s "Vacation" films back in the 1980s. The ad, a 30-second spot during the big game's third quarter, directed viewers to HomeAway.com to watch a short film featuring the Griswolds. More than 1 million people visited HomeAway.com in the 24-hour period after the Super Bowl, and traffic remained up for the following two months. The jump represented a 500% increase in traffic, according to Sharples. Traffic "remained up for two months," Sharples says. "It was very good for us." He declined to comment on the ad's impact on revenue and to disclose the ad's exact pricetag but said a 30-second slot cost roughly $2 million last year. The company also had to pay Warner Bros. Films a big licensing fee for rights to use the Griswolds, along with paying the actors to appear. Sharples says HomeAway didn't consider the pricetag a huge financial risk for the company, given that it was reeling in $120 million a year and had venture-capital backing. The bigger risk, he says, was that the ad would flop and people wouldn't like it. But that didn’t happen: Sharples says the ad got good reviews. HomeAway is used to thinking big. The company has collected nearly $500 million in venture capital, most before 2010, and purchased several more Web sites in the past year, including BedandBreakfast.com. It has also been the subject of rumors last year that it was preparing for an initial public offering. What's more, the results from the commercial have HomeAway running another 30-second ad during the same quarter of this year’s game. Before the 2010 Super Bowl ad, HomeAway did minimal television advertising, relying mostly on search marketing and email marketing campaigns to draw traffic to its Web sites. The company tested a TV advertisement in the San Francisco market in 2008 to see whether it could change viewer attitudes toward vacation rentals. Survey results were promising enough that they decided to pursue more TV advertising. The company and its media consultants eventually determined that, despite the huge expense, the Super Bowl was the prime time for its first national ad. Early February typically sees the highest volume of travel bookings than any other time of year. Moreover, Super Bowl commercials provide the best bang for the buck because they get exposure far beyond game day. They’re highly anticipated and written about on blogs, social media and major publications. Viewers often pay just as much attention to the ads as they do the game itself. "We were in just about every story written about Super Bowl advertising," Sharples says. Last spring, Fox television network approached HomeAway again about buying an ad for this year’s Super Bowl. It was trickier decision. The company didn’t have a creative idea in mind, as it did with the Griswolds. And 2011 Super Bowl ad rates climbed about 30%, Sharples says. Company executives ultimately decided to run another ad, given the previous ad’s big traffic boost. Though they are spending significantly more for the airtime, they are spending less overall because they aren’t paying the licensing fees. The ad features a mock secret agency called the "Ministry of Detourism" and again espouses the comforts of vacation rentals while knocking the hassles and discomforts of hotels. The ad, which can be viewed on HomeAway.com, features a "test baby" that gets catapulted while its parents are trying to maneuver in their cramped hotel room. The slogan is "Why hotel when you can HomeAway?" The ad’s goal, Sharples says, is driving traffic to HomeAway.com to watch a short film and hopefully check out the vacation rental listings. The online film will allow viewers to interact by customizing it. Sharples declined to disclose the film’s full content but says viewers will be able to insert photos of themselves in the ad, while vacation-home owners can have images of their home appear in the ad. The hope is that "the social component of the ad will expand the exposure of the ad," he says. 1. Make sure timing and focus is right. HomeAway would not run ads during the Super Bowl if the timing weren’t "smack in the middle" of travel booking season, Sharples says. Moreover, many people who watch the Super Bowl take vacations. It’s wasted money if the audience and opportune timing don’t match up with the company’s focus. 2. Maximize the impact. During the first Super Bowl ad, the company didn’t promote the ad much before game day because it wanted to build suspense. But that was perhaps a mistake, Sharples says. This year, the company has generated buzz for its second ad by running trailers for its Super Bowl ad on its Web site and YouTube. It put out a press release in mid-December about the upcoming ad and started a Ministry of Detourism Facebook page. The build-up to the ad and the short film and advertising campaign stemming from it is just as important as the game ad, according to Sharples. "You've got to be prepared to make a much, much bigger investment than the actual ad itself," he says. 3. Be ready for the upside potential. If the ad is successful, it could lead to a surge of Web traffic and business. Make sure you’re ready. HomeAway spent more than $1 million before the 2010 Super Bowl getting its technical infrastructure prepared for a huge influx of traffic. Sharples says many other companies with ads during the game saw their Web sites crash.